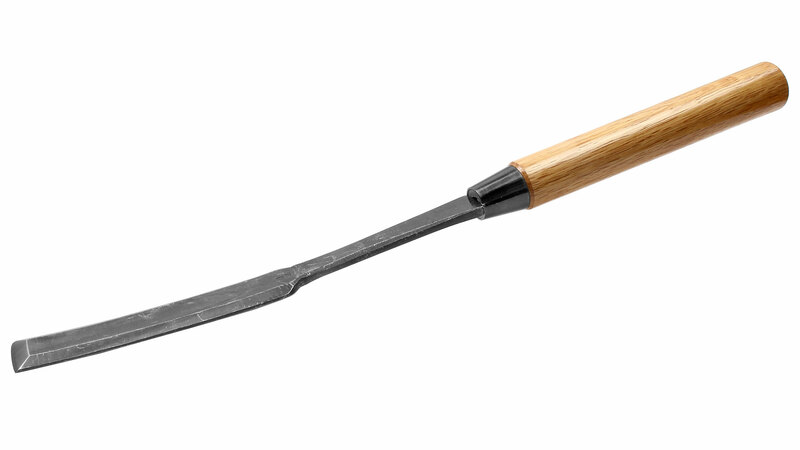 "Saya Nomi" are very long, relatively thin, forged paring chisels. They are traditionally mostly used to cut the slots in wooden scabbards for Japanese knives and swords. The edge is slightly rounded and so begins cutting first in the middle of the iron, enabling a cut that is soft and very responsive to your hands. 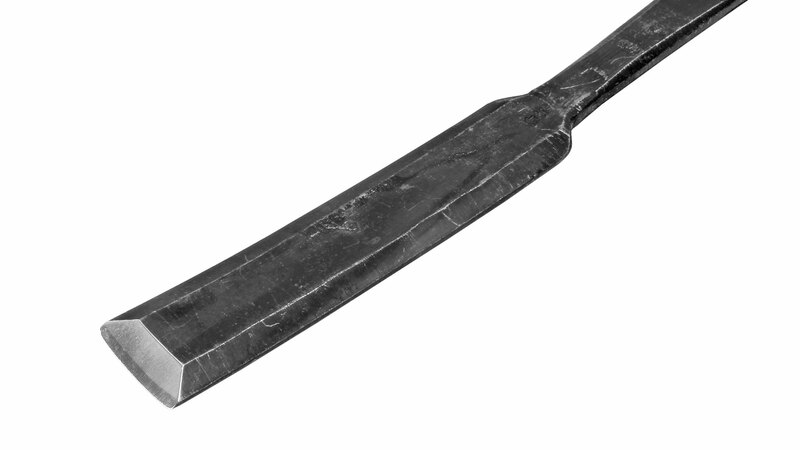 The back of the iron is lightly rounded as well, and so you do not find the hollow-ground back one sees so often in Japanese chisels. The third, hardly perceptible curve is over the length of the iron. The shaft is bowed up about 12 to 13 degrees in order to protect your knuckles. The iron is forged out of two pieces of laminated steel, the edge laminate is hardened to about 63-65 HRC. The handle is in Japanese Red Oak. 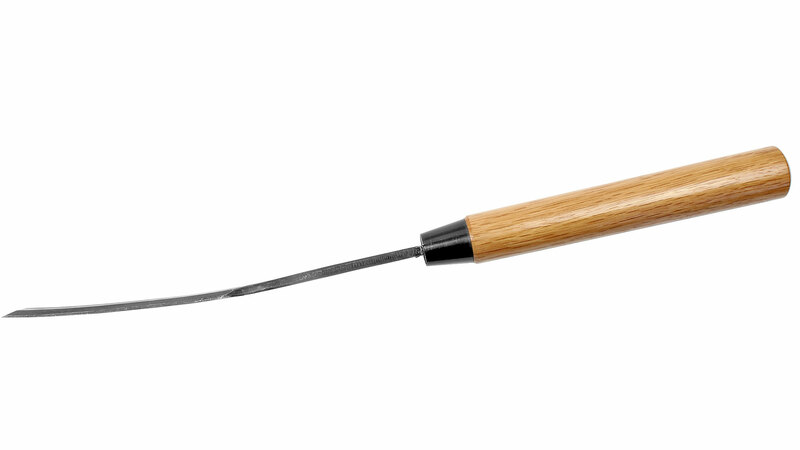 This chisel, because of its long, thin, curved iron, and lack of a steel bezel at the end of the handle, is designed to be used under hand pressure only, or only very light blows with a small wooden mallet. They are forged by the smith Kawasei in Yoita, Niigata Province, Japan. You are here: Homepage → Chisels → Scabbard Chisel "Saya Nomi"